The teaching of medicine at the University of Cambridge dates back to 1540 when Henry VIII endowed the University’s first Professorship of Physic, Dr John Blyth. However for more than 300 years, successive incumbents of the Regius Chair appeared to look upon their positions as a means to an end, enabling them to do their own work without the inconvenience of having to teach students. Between the appointment of Dr Blyth in 1540 until the middle of the 19th century, only one or two medical students were registered each year, with the average number of undergraduates taking the medical course never totalling more than four. Although anatomy had been taught since the early 18th century, with pathology and physiology following in the 19th century, it was not until the appointment of Dr John Haviland, the Regius Professor of Physic, 1817-1851, that the formal teaching of undergraduates was given consideration. In 1829, the University Senate agreed to the introduction of a more comprehensive medical curriculum and examinations. In 1842, George Paget, the famous physician, into his third year at Addenbrooke’s Hospital, pioneered bedside examinations. These were the first ever to be carried out in UK hospitals and became an integral part of the Bachelor of Medicine finals. The following year, a system of weekly lectures was adopted and by 1860 the number of students had moved into double figures. In 1842, Paget was joined by the 22 year old surgeon, George Murray Humphry, and the two helped put medical education in Cambridge on a proper footing and the School gained a reputation as one of the foremost outside London. However, a number of disputes led to a cooling in relations between the University and Addenbrooke’s and, much of the momentum created by Paget and Haviland, was lost, with the London medical schools retaining their pre-eminence. It was not until the advent of the National Health Service in 1948 that clinical teaching had the opportunity to move forward again. The introduction of Regional Health Authorities offered new opportunities, particularly in postgraduate medical education. The establishment of a new Clinical School to meet the new demands and challenges of the NHS became a priority when it became clear by the 1950s that the original Addenbrooke’s hospital in Trumpington Street was nearing the end of its useful life. There was no more room to expand at the old Trumpington Street address and it was agreed that a new hospital would have to be built on a different site. 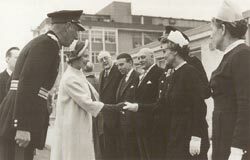 The new Addenbrooke’s Hospital was opened on its present Hills Road site by the Queen in 1962. The building of stage two, the biggest hospital contract in the UK at the time, was completed in 1972 at a cost of £12 million – more than ten times the cost of stage one – reflecting the fact that it was ten times bigger than the first stage, with a vastly greater infrastructure. In 1976 in response to the recommendation of the Royal Commission on Medical Education in the late 1960s, a complete medical course was re-established in Cambridge with the opening of the School of Clinical Medicine at the new Addenbrooke’s Hospital site. On 21st November 1980, HRH The Duke of Edinburgh and Chancellor of the University of Cambridge officially opened the Clinical School Building which presently accommodates the medical library, lecture theatres and seminar rooms. The early architects of clinical teaching in Cambridge would barely recognise the form and content of today’s curriculum. While patient-centred learning remains at the heart of modern medical education, research in the ever widening field of biomedical science provides the stimulus for much of the Clinical School’s core activity. Studying in an environment that actively encourages critical inquiry and with much greater opportunity to get involved in real clinical research, the medical student of the 21st century is able to acquire a clinical grounding of richness and diversity unknown to past generations. 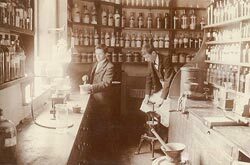 From the first direct measurement of blood pressure to the unravelling of the complexities of DNA and the discovery of monoclonal antibodies, Cambridge has been in the spotlight. Advancing into the 21st century, Addenbrooke’s symbolises the world class stature of Cambridge Medicine. It is in the front rank of the UK’s finest University teaching hospitals with an international reputation based soundly on treatment, teaching and research.